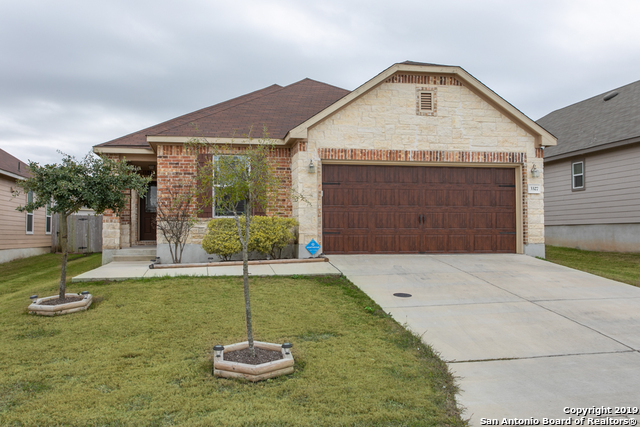 All WINDFIELD homes currently listed for sale in Converse as of 04/25/2019 are shown below. You can change the search criteria at any time by pressing the 'Change Search' button below. "Beautiful home offers 3 bedrooms & 2 bathrooms. Open & airy floorplan w/ stunning picture windows all around for natural light. Gorgeous kitchen is open to living & dining room. Kitchen features island/breakfast bar, SS appliances & granite counter tops. Spacious master suite w/ ceiling fan. Master bath w/ double vanity & separate garden tub/shower. Roomy secondary bedrooms. Big backyard w/ covered patio & ceiling fan. Don't miss out on this home!"